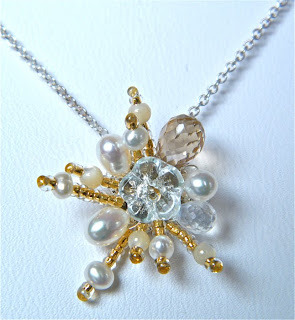 Now, you can purchase my jewellery at Dream in Gastown! 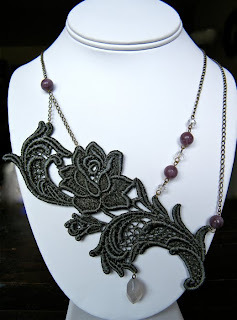 They have latest grey colour dyed lace necklace as well!! Very pretty Star Burst necklace will be there soon! Please go and check them out!! The lace necklace is stunning and classy. How do you ever come up with such ideas? I'm so very happy that your beautiful jewelry is now at dream! Wishing you much success - I know your pieces will be doing well there, as they should. You are so talented and what you offer is like no other jewelry.